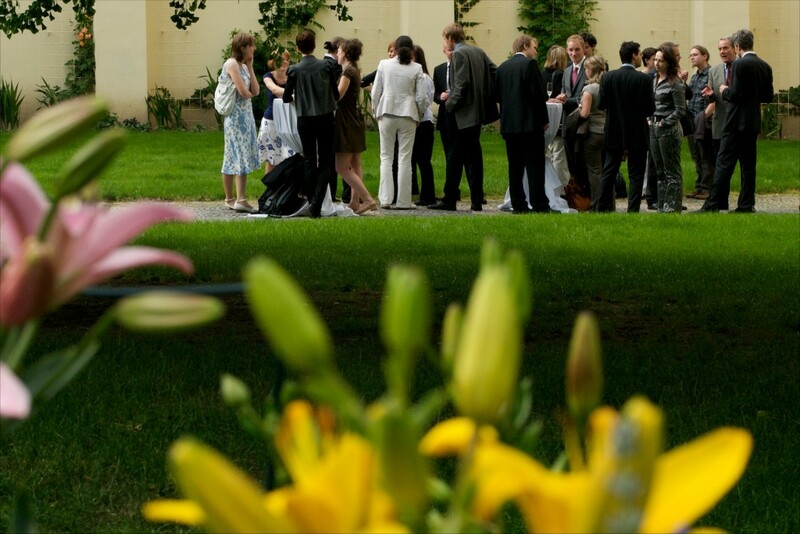 The Czech-German Young Professionals Program (CGYPP) established in 2008 is an international network for young experts, multipliers, movers and shakers from Germany and the Czech Republic. The program interlinks the fields of academia, business, media, politics, public administration and NGO. Each year since 2008, 12-14 young professionals from Germany and the Czech Republic are invited to participate in a series of workshops, and to collaborate on relevant economic, political and social issues. CGYPP connects people with different professional backgrounds. By exchanging and sharing experiences and perspectives, the participants not only broaden their horizons, improve communication and intercultural skills but also increase their social capital. CGYPP was founded by the Association for International Affairs (AMO) and German Council on Foreign Relations (DGAP) that co-organized the first four years. The first year was held under the auspices of former presidents Roman Herzog and Václav Havel. Since 2014, CGYPP has been co-organized by the European Academy Berlin (EAB). The program is initiated and financed by the Czech-German Fund for the Future. Among other partners are Hanns Seidel Stiftung, the German Federal Foreign Office and previously also the Robert Bosch Stiftung.